Both of these impacts happen so quickly that we were unable to capture them with a smartphone camera. The Edgertronic camera, however, had no problems capturing the impacts at 1000 fps for the paper towel roll, and 2000 fps for the egg drop. 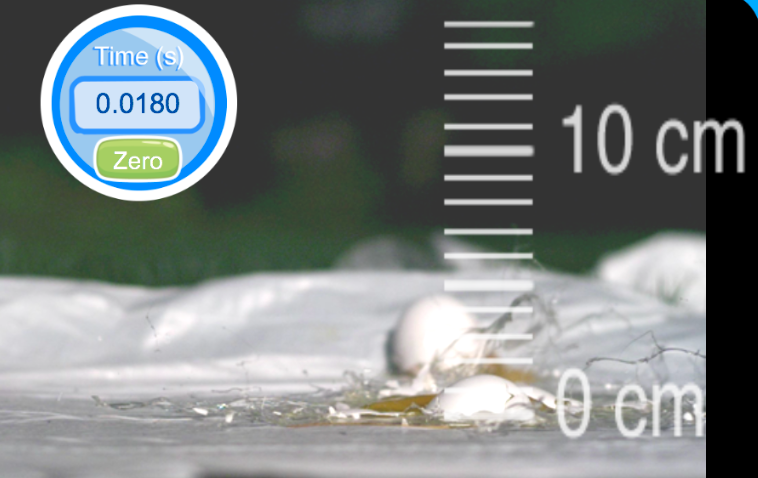 The egg drop is particularly “splat-tacular” at 2000 frames per second, showing bits of goo and egg shell flying in all directions. For the paper towel roll drop, students create a data table and graph of force over time. They then add up all of the individual impulses every 0.001 seconds to determine the total impulse on the paper towel roll, and compare this to the paper towel roll’s change in momentum. 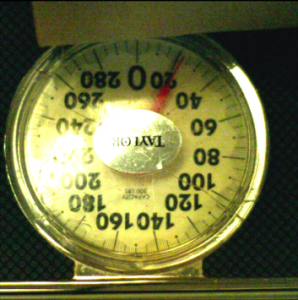 Click here to go to the “Paper Towel Roll Dropped Onto a Bathroom Scale” activity and video. 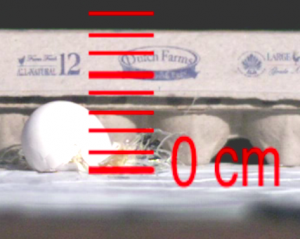 For the egg drop, students use the video to determine the time duration of the impact, then use the change in momentum to compute the average force of the impact. They can then go to the lab and determine how much weight it takes to smash an egg, and compare the force computed from the video to the smashing force they found in the lab. Click here to go to the “Egg Drop” activity and video. If you have any more ideas for labs, please send them our way and we will be happy to post them!